Weather today is hot and windy. I didn’t get today’s weather written up until the 21st. I had four letters today from Mary Girl, one from Mother, and one from cousin Cecelia Bahl. From Mary’s letters I get that she is as lonely as I am. I expect she’ll be down here soon. It’s the 21st today. The weather is hot and windy again. For breakfast we had hotcakes, syrup, coffee, grape nuts and milk. At lunch we had bread, roast beef, spuds and gravy, water and pudding. For supper we had bread, stew, water, and apple cobbler. I was up the usual time for rising, reveille, and breakfast. I had to hustle for some hot cakes. Finally, I took my plate right up to the cook and got four hot cakes right off the griddle. I worked in the riding barn this A.M. Then I worked in the hay till about 3:30 this afternoon. Then I stayed in the corrals. I am rather excited tonight. I had a telegram from Mary that she would be here Saturday noon. I have a reason to be excited. I get to see my honey girl. I guess I will go to town tonight and see if I can rent a room right close-in and handy. There is sure a lot for me to see to. Sometimes I wonder if she had not better have waited until the first of September. I expect I don’t know. I do hope she gets my last letters before she starts out to come here. If you want to explore more about this blog look under the pages “About” and “Welcome to My Blog” for some new pages which will soon be ongoing project areas. Oh! And I just discovered a new favorite book. It is called “The Language of Flowers” by Vanessa Diffenbaugh. Wow, the writing is gorgeous. The story is about a girl shuffled from foster home to foster home. She has attachment issues. The book opens with her eighteenth birthday as she is being kicked out of the “system”. This makes the story sound awful and sad. It isn’t. It is so well written with the past and present of the girl’s life woven in such a seamless manner that I found it hard to put down, and hardly able to wait until I could get back to reading it to the end. The girl learns by heart the meanings of all the flowers and then makes a living because of it. It is a daring and hopeful adventure. But at its heart the book is about redemption and forgiveness. Two of my all time favorite subjects in a story. I hope you take my word for it and read this wonderful book. Snakes Alive – In H-Town! Nope! I’m determined to bring those stats up with one more post for 2012. And I will – by talking about snakes. This past summer I was replanting a garden under the old, wax-leaf Ligustrum growing at the curve of our front porch when I first saw the grass snake. It was exciting. I haven’t seen one of these dark bronze-colored grass snakes in years. I suppose living twenty-five miles west, in Sugar Land, next to the creek with all the large or dangerous snakes there just wasn’t much room for these lowly grass snakes native to the Houston area. As a child I lived in South Houston. It’s a small town just west of Pasadena, TX. We lived on Avenue B. My younger brothers and I spent a lot of time outside. We were always digging. We dug up lead bullets that were white with age – probably from the days of the battle of San Jacinto which wasn’t far from our house as a crow flies, we dug up oyster shells, old rusty knitting needles, pieces of pottery. We had a regular archeological dig going and didn’t know it. I think I spent my childhood mud-encrusted. My brother Jon and I would haul crawdads by the bucketful from the ditch. Used a string and piece of raw bacon to lure them from their holes. 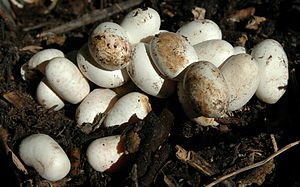 Some call them crayfish, crawfish, or mud-bugs. People eat them. We tried to explain that to my mother. She would not touch them. Spec’s deli has a nice macaroni, cheese and crawfish dish available that is yummy. In the process of digging and other mud adventures we caught plenty of green anoles (the Texas chameleon lizard) and grass snakes. The dark copper or bronze colored grass snake has a beautiful face, much like you might imagine would be the face of a snake in a children’s book – big round eyes and a bit of a smile. They don’t get any bigger than twelve inches long and not any bigger around than a pencil, head to tail. They never bite. Never. I would say that is almost true of a Texas rat snake but almost is not never. The rat snake tries to avoid contact but will strike out of desperation to get away. Even the green anole lizard bites. They have bony ridges on their jaws that feel like tiny teeth. I don’t like getting bit. The bronze grass snake does not bite. I have never seen pictures of this snake in any encyclopedia, or snake book. The snake has no markings at all, is dark bronze to light copper and has a buff colored belly. Because I can’t find it on the internet, I don’t know its official name – hence bronze grass snake. If anyone has any other ideas please advise. As close as we are to the big buildings of downtown Houston, I’m sorry to say the air pollution is awful. The small things are usually the first to go with pollution as bad as it is. Our porches are dusty, and can’t be kept clean, because the dust is smog that has stuck. So that is one reason I was so pleased to see the grass snake. And then the next day I saw the grass snake again. And the next. It lived under the Ligustrum. I reached down and picked it up. Of course it tried to get away but the way to catch a snake is to remain calm and catch it. I showed the snake to my daughter. She wasn’t that impressed but had never seen one before. I didn’t show it to my husband. He hates snakes. Living out by the creek for six years made his dislike of snakes worse. He didn’t need to know there was a snake – no matter how tiny and harmless – living in the front yard. I let the snake go under its Ligustrum. I never saw it again. It probably lives next door by now. The neighbors don’t care to be picking up snakes. Finally got a good night’s sleep. We have officially been on the road nine weeks. After breakfast drove and drove and drove around Dallas to get to 6 Flags Over Texas. $24 cash to get in. The Chevy Show was misnamed. I thought it would be about cars but instead you sit in a seat and the screen in front of you showed a front view from a helicopter, fast cars, boats, planes, and a snowmobile as if you were a passenger in these. It almost made me seasick. The run-away mine train was an honest to goodness roller-coaster, which Jon, Becky and R enjoyed. Jeff and I went on the “Mine-Train”, a bit tamer ride. 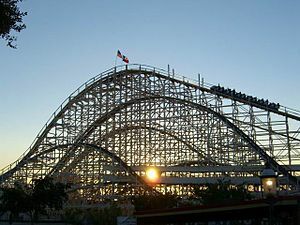 We had thought that 6 Flags Over Texas would be a lot bigger than AstroWorld, but it isn’t true. Besides, AstroWorld is constantly adding on new rides and growing bigger. We did notice that 6-Flags was very clean and appreciated the nicely cooled bathrooms. I guess my favorite ride was the spelunkers’ Cave with its splashes of cool spray. The kids liked the Spindletop. With meals, snacks, parking and entrance fee the day costs us over $40. I can’t imagine what a larger family would cost. That was for four people and a child. 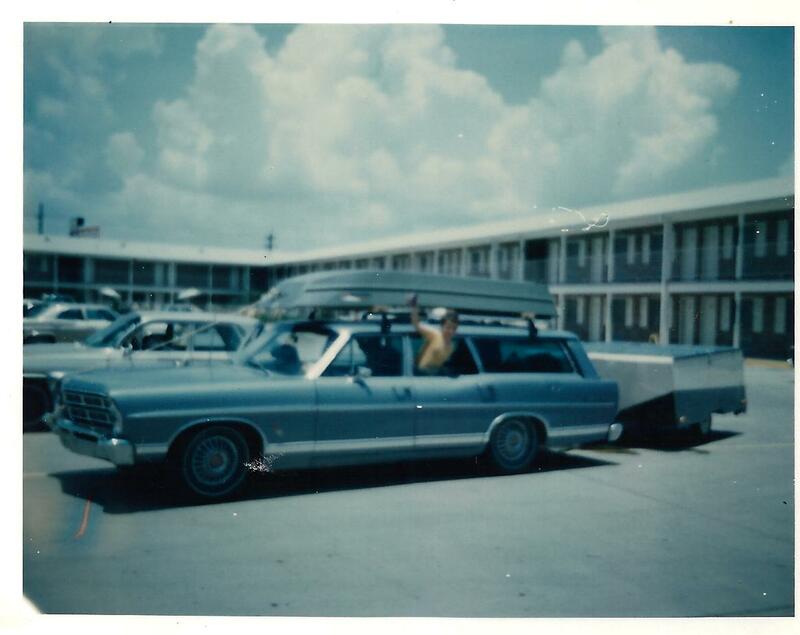 We spent Sunday and Monday night at the Holiday Inn. R remarked that for 2 nights, 2 breakfasts, and 1 supper, it cost about $22.00 a day less than the Holiday Inn in Chicago. 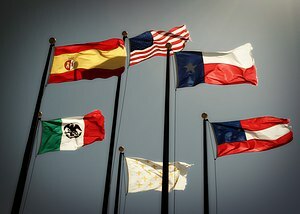 We heard on the news last night that Houston ranks #6 in nation for population and Dallas was #8. I’ve been thinking about the kids going to school next Monday August 31st. We’ll have Jeff in Elementary School, Jon in Jr. High, Becky in High School, and Bobby in college. On Highway 75 going towards Houston I’ve noticed how dry and brown the grass is along the roadway. A big truck was spraying water on the trees in the median – I guess trying to keep them alive. The stretch of road between Streetman and Buffalo was not highway and seemed very dangerous – with cars passing too fast or cars moving too slow, dangerous driving. There were signs that said “Daylight Test Area – Turn On Headlights” on this stretch. We stopped at one Nickerson Farms that had a sign that said “Shirts and shoes required inside”, so I guess they’d had some problems. Stopped at Huntsville State Park for 1 hour between 4 & 5 PM. It is not crowded today. Apparently there have been two days of rain here added to the fact that all school districts except Houston Independent School District began yesterday. The park was great, not too hot. Jon and Jeff went fishing but didn’t catch anything. It made a nice break to rest even if it cost $1.00 just to get in. I approve of this entry fee as it does eliminate some undesirables (those who would trash up the park and not bathe). We would have used our camper exclusively if 1) all parks had clean, working showers, and flush toilets. And plenty of them. It is ridiculous to find one shower for women and one shower for men in a camper ground that is housing three-hundred campers. And wouldn’t it be nice if those showers had hot water as advertised and not SUN-WARMED water available at 3 in the afternoon only. WHY do females throw their personal sanitation wear in the toilet and block up the sewer system for an entire campground? We would have used our camper exclusively if 2) the camp ground guide-book had been more explicit as in if there are TWO campgrounds with the SAME name within a few miles of each other this was made known so there would be no confusion. We would have used our camper exclusively if 3) our tent had been more waterproof. We would have used our camper exclusively if 4) we hadn’t been so crowded. As the kids have gotten bigger so there just wasn’t enough room. Even though our camper sleeps six, it was elbow-to-elbow all the time. Cramped space makes for gripes and complaints from everyone. One thing that we noticed, during this camping season, was that common courtesy and decency were sadly lacking. What happened to “regard for others?” The experience was so unlike past years. Why was this year so different? True, there were a few friendly campers, but as a whole those were the exception rather than the rule. This was strange. We all noticed it. As we get closer to Houston the grass is greener along the road. We just entered Harris County at 5:40 PM. Mileage 59,569 Gas here is 31 cents a gallon. Good to be home! Noticed a sign in Houston “Time ripens all things, no man is born wise”. In other words like the Pennsylvania Dutch saying “Too soon old – Too late smart”. They say things in a different way up north, they drive faster and with less regard for other drivers, they act abruptly toward each other and strangers, but we found the exceptions to those generalities, too. We aren’t that much different, them and us. I just finished a heated exchange with my daughter. We’ve been over this ground before. It isn’t easy to let go of a child at any time, but it is worse to say goodbye after an argument. The same child who would copy everything I ever did, from reading her books with me at night, to having tea with me in the morning (she had her own teacup), to checking with me about where I was and what I was doing, this same child wants me to stop putting up roadblocks every time she wants to go away. She’s an adult. This morning’s heated exchange began after my daughter declared her intention to drive across Texas for a job interview at a distant city’s school district for a temporary position. I spent some years working in a public school district and know from experience that they are always desperate for warm bodies who know how to read and write, and more so for a body with a college degree in a biology and chemistry. Never speak to the girl-child without a well-thought-out, well-rehearsed, written dissertation beforehand should be posted all over the house for me and me alone. She listens to her father. “You want me to go! You don’t want me here?” Tears. 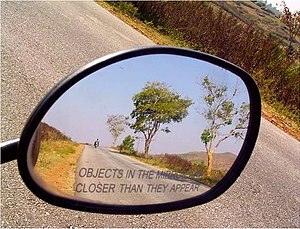 Ten minutes after she left she called and said something fell off a freeway sign and sheared off her side view mirror. She pulled off the road and examined the spot the mirror had been. Only a chip out of a rubber seal besides the blank spot where the mirror had been. I breathed a prayer of thanksgiving. A few inches to the right and whatever took off her mirror would have landed where she was seated. She made there. Her interview is tomorrow. I have no doubt she will be asked back. The whole idea of letting a child go, whether the first five steps across the living room at ten months old, the first day of kindergarten, the first solo drive at sixteen, or the first time you drive away leaving your child at college, it doesn’t get easier. It never gets easier. I’m sorry she and I parted with tears and words we probably didn’t mean to say in such and such a way. But I’m thankful she made it there fine. A wise woman once told me that worrying has its place but don’t count on the children doing what you expect them to do all of the time. God’s plan for my children will not necessarily be the same as my plan for my children. And as much as it hurts to say it, I’m thankful my daughter doesn’t need me. I’m thankful that she is a great young lady with a fine brain and a rocking sense of humor. It’s just that I have to keep telling myself to stand back, hands off, let her make her own mistakes, let her fall a few times. She’ll always be my daughter and I’ll always be her mother. That’s all that really matters now, I guess. And I must be reminded to let go, again. In 1819, Jane Long followed her husband James to the wild frontier of Texas. Her husband was always on some mission of one kind or another. He kept leaving Jane behind, first he left her in Mississippi to go to Texas to fight the Spanish, then left her to go to Galveston to recruit the pirate Lafitte, and then he went to Mexico to fight the Mexicans. The Mexicans caught and killed him. I don’t know which is worse the part about James’ propensity for leaving his wife or the part about Jane following him. I think when he went to Mexico the only reason she didn’t follow him is because she was so pregnant. It would be one thing if he left her in a nice, cozy place but no, he left her in a mud “fort” on Bolivar Peninsula which is across the bay from Galveston. There are no trees there hence the mud. That would have been where I drew the line and would have gone home to mama, but not Jane. This woman was plucky, gotta hand it to her. 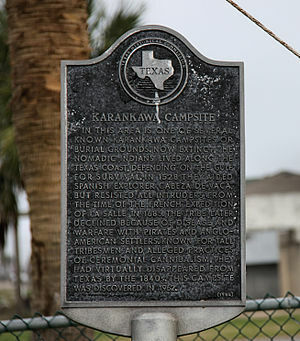 The Karankawan Indians were the true natives of South Texas. Supposedly they used smeared shark liver oil or alligator fat to ward off mosquitoes. So not only did they smell bad, but they were reputed cannibals. The important thing to note they didn’t just snack on just anybody. They only ate parts of their conquered enemy. In so doing they were conquering them on the outside and the inside. Something to think about. Their blood-thirsty reputation didn’t win them any awards with the neighbors. So in the winter of 1821 when Jane Long was cast alone on the narrow strip of land called Bolivar with crashing waves on one side and Karankawa Indians on the other side, she didn’t know what to do. The one time she saw the Indians crossing the bay in canoes coming towards them, she strung up her red underwear as a flag and loaded her only cannon ball in their canon and shot it. The Karankawans turned back. The weather grew more dire. Jane, her children and Kian (her maid or servant or slave, history is unclear) had nothing. They were starving. Cold weather gave way to freezing weather. Kian gathered the fish as they froze and rose to the top and floated ashore. They ate what they could. Winter grew even more frigid until the bay froze over. They just knew the Karankawa would cross the water, on foot, and eat them. But they didn’t. Probably because the Karankawa were probably freezing, too. Some passing immigrants saw Jane’s fort, came to investigate and found the women and children. They were rescued. The Karankawa’s reputation continued to spiral downward with more and more immigrants crossing into Texas. By 1850 the Karankawa were almost non-existent. But because of their reputation Stephen F. Austin decided they needed to be annihilated. In 1858 a band of Texans led by Juan Cortino killed the last one. Or did he? Another theory is that there was one Karankawa left from that expedition and he disappeared but a Texas Ranger chased him down and killed him a few years later. Jane Long went on to buy an Inn and then a plantation where she lived during the civil war. She is called the “Mother of Texas” and Stephen F. Austin is called the “Father of Texas”. Both didn’t like the Karankawa.